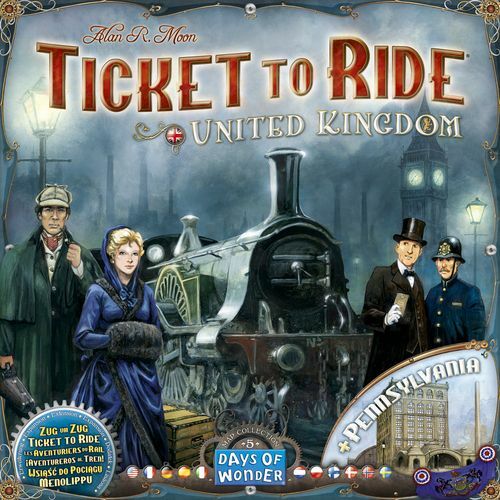 The United Kingdom half of this map collection introduces the concept of technology to TtR. At the start of the game, players can build only one- and two-train routes and only in England. By spending wild cards, players gain the ability to build routes three trains long or longer, in addition to being able to build ferries across water or build train routes in Scotland, Wales and elsewhere. Players can also buy bonus cards that allow them to score extra points for taking certain actions during play.